Incorporated in 1708, the Town of Hebron is strategically located in Central Connecticut with an estimated population of 9,600 persons. As one of Connecticut’s fastest growing towns, it offers ample, affordable land and homes for residential and business growth. 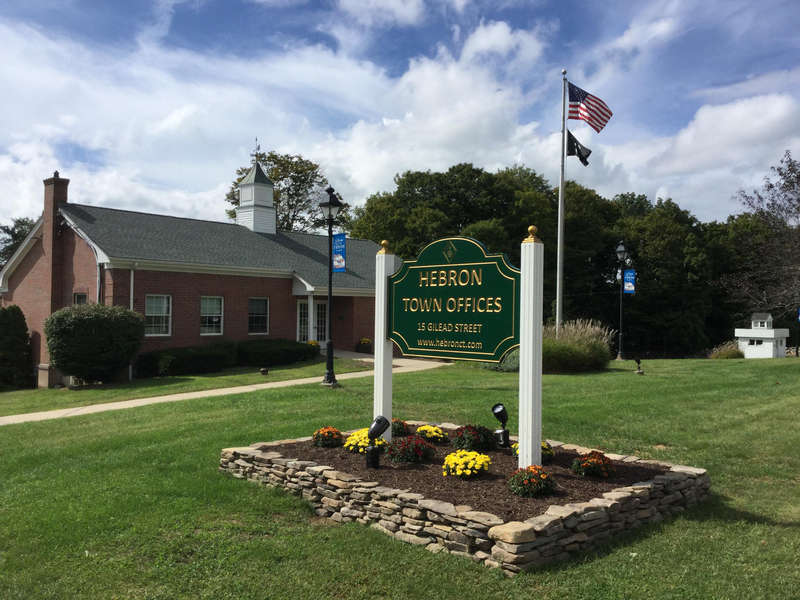 The quality of life offered in Hebron is unsurpassed, from its mixture of colonial style and contemporary architecture to its vast State recreational facilities, active civic organizations, educational programs and municipal services. Hebron’s Central Business District has a full range of support services for the business community including legal, accounting, banking, real estate, word processing, Internet, public relations, marketing and other professional services. A full-service post office and state-of-the-art library are set in the central corridor of the town. A carefully structured town plan of development and zoning regulations have created a unique environment for future residential and business growth within Hebron. If you are contemplating a new location, we invite you to “Come Grow With Us!” in Hebron, Connecticut. Beautiful, safe and varied, incorporating public open space, as well as new cluster and age-restricted housing developments are available. When fall arrives, it’s time for our annual Hebron Harvest Fair at the Lion’s Fairground, the third largest agricultural fair in the State, and winter can’t end until you’ve experienced our Town wide Maple Festival. A great place to live today with a strong history as our foundation and with a stronger vision for the future! The Hebron Green District – forms our historic Town Center. …that is quick and easy, reaching employment and shopping destinations; also there is easy access to nearby UCONN, and more. A new 130 acre planned mixed-use business district has been created with the cooperation of the Town’s Economic Development Commission, Planning and Zoning Commission and private property owners located next to our existing Hebron Center business district along Main Street. Activity is now occurring with new building facade improvements funded by an economic development grant, and new sidewalk and street trees improvements.